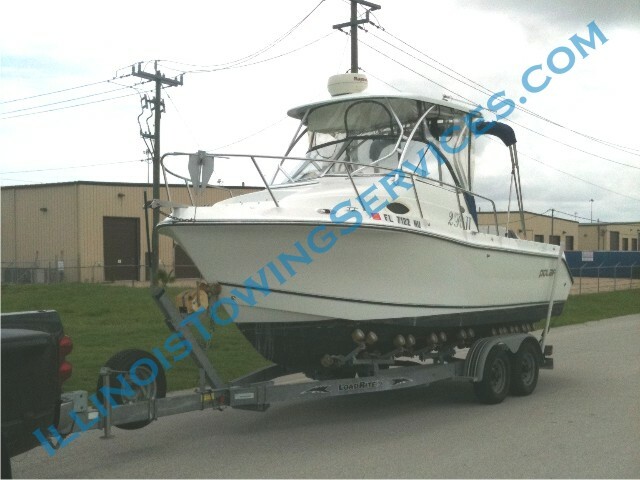 Power boat moving difficulty will greatly depend on their dimensions and in some cases various state regulations may require larger loads to be escorted by a pole car. This of course may have a significant impact on the boat moving cost. 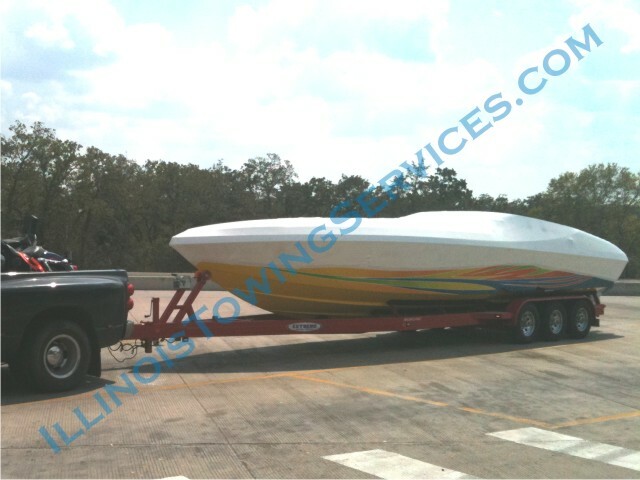 Another important factor is a specialized power boat transportation trailer. In case you are providing your own boat trailer make sure that it has been inspected and prepared for a trip prior to the arrival of a boat moving operator. All those things will be re-checked by the driver but you don’t want to find out about any problems from him. 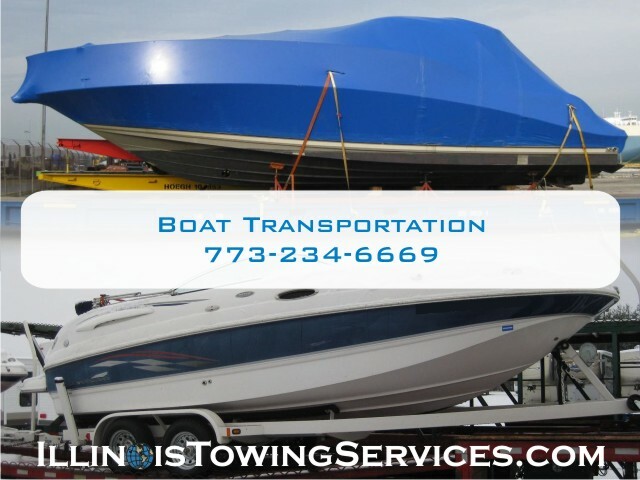 It will most likely delay your scheduled boat moving process and cost more money to setup another boat transportation date. On top of that checklist you should take a close look at the interior and prepare it for boat moving as well (applies to all types of boats). Sailboats require slightly different handling approach during boat moving preparation mainly because their weight distribution is unlike that of the power boats. Because of that, at least 50% of the sailboat’s weight must be on its keel when loading it onto the trailer. Sailboat weight distribution also demands more supporting stands along its hull to prevent it from damage / crushing when balancing and boat moving process, especially on the wood hulled sailboats. The interior of the sailboat usually needs much more attention than the power boat moving preparation tasks. Because of the legal height transportation limitations (13 feet and 6 inches in most states) some of the items even permanently secured to the sailboat’s deck might need to be dismantled in order for the sailboat’s transportation to proceed. 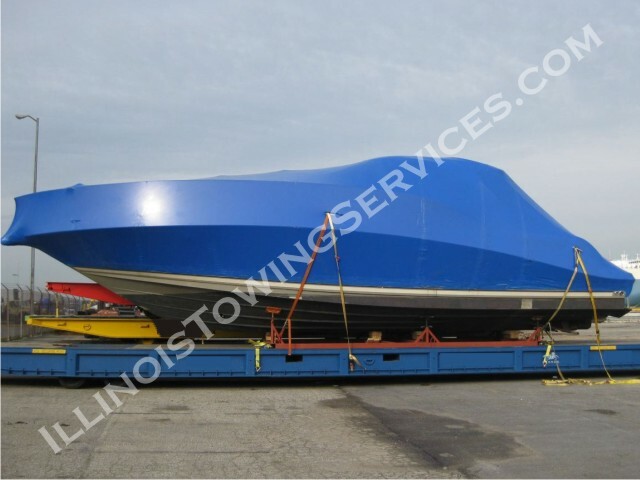 Motor yacht moving – Illinois Vehicle TransportYacht transportation covers larger size power boats and sailboats and due to their dimensions and regardless of the distance to be covered during your boat moving, a pole car is usually a necessity. There’s also much more preparation involved prior to this type of boat moving and all efforts used in a process of reducing the height of the yacht loaded onto the trailer. Every additional inch is crucial and might impact the route planning through the country. As with almost everything else, there are positive and negative aspects of the boat shrink wrapping prior to transportation. While shrink wrap may protect boat’s surface from tar, dirt, and smaller stones, it may also cause some damage if torn and flapping during boat moving. It’s not uncommon for the boat shrink wrap to be completely blown away during transportation. There are also sailboats painted with Awlgrip® or Imron® which should not be shrink-wrapped for boat moving unless the wrapping material comes below the gunwale. Additionally the perimeter band must be separated from the hull using foam blocks.